The day started with tasty idly-sambar and beautiful Bengaluru weather! The day's plan was to visit the Rajendranagar Slum in the south Bengaluru and understand the lives of the people living there! Everyone seemed to be very enthusiastic towards a community visit. Krishna, a counselling psychologist who has the experience of working with the community, led an hour-long brainstorming session. Everyone was asked about their previous experiences speaking to the local communities and their overall experience since the course started. We were put into two groups, with at least one member from each project group. Each group sat and discussed the questions to be asked in the community visit. Aruna and Krishna gave some tips on how to tackle the probable questions asked by the the people at the community. Those tips were of great help later. 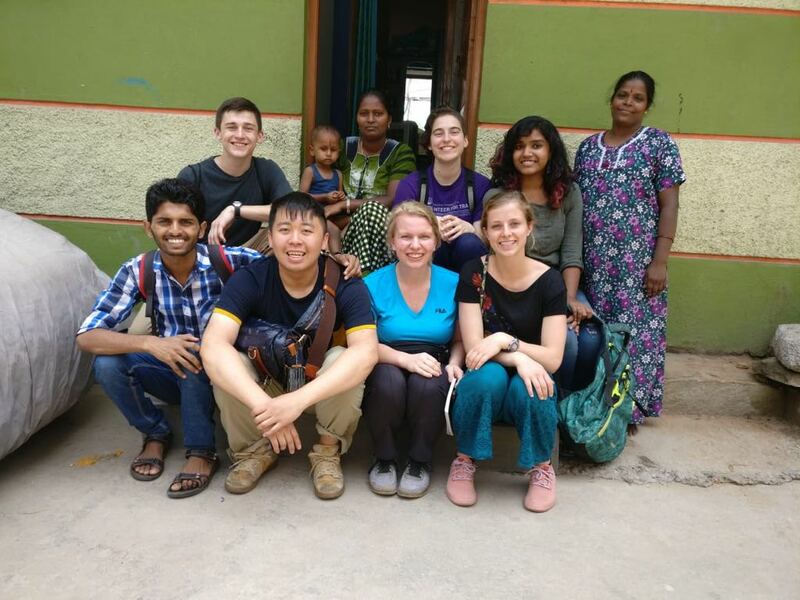 We left the ISI by 10 a.m., and by 11 a.m., we were at the slum with our respective groups. Groups talked to people from various religious and sociopolitical backgrounds for about an hour. 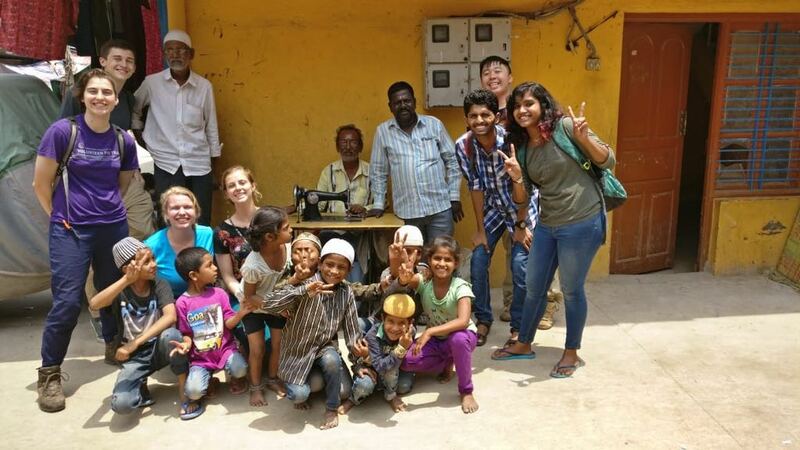 By the time we entered the slum, we saw a Hindu temple, a church and a mosque on the same corner of the slum. Later on we saw, families belonging to different religions living in the same street. The Rajendranagar Slum seemed to be a miniature of India in terms of its religious harmony! People were very friendly. Nobody said "No" to talk to us when we approached them. Student groups asked the dwellers questions on their daily lives and other other questions related to their projects. A girl who loves basketball, an old man with four wives (two in Tamil Nadu and other two in Bengaluru), and twenty-four children were of center of attention. We were amazed to see how people consider their problems as norms. We came back to ISI for lunch, followed by a reflection session on our community visit moderated by Mr. Krishna. 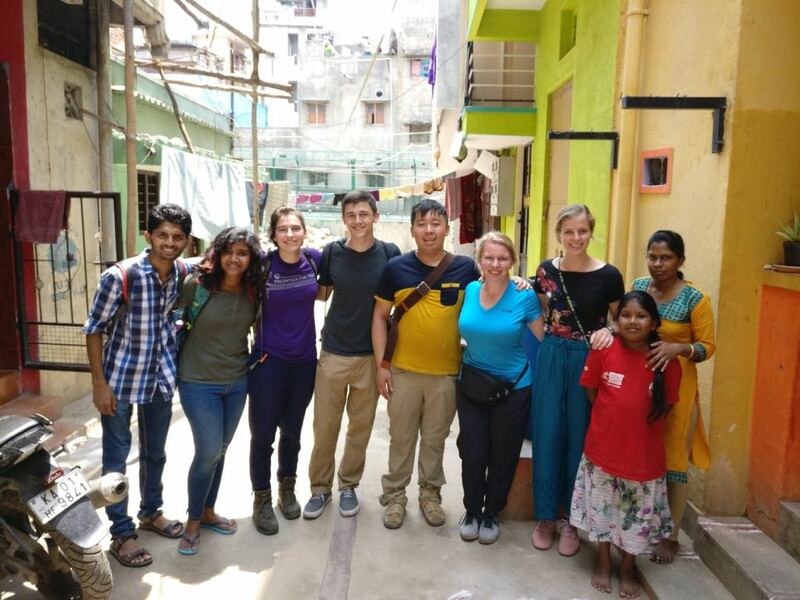 Students shared their experiences at the Rajendranagar Slum. Later in the evening, we had our team time. The day was ended with the group dinner at Infinitea on Cunningham Road.